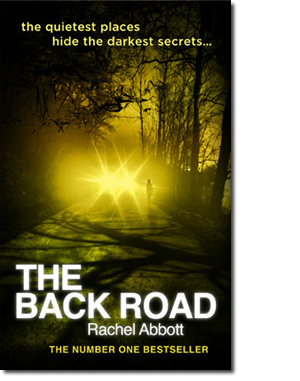 I have enjoyed both Rachel Abbott’s previous two books, The Innocent and the back road both of which deal with moral dilemmas so I purchased her latest book, Sleep Tight, on publication day 24 February 2014. This blurb indicates that this is a book about obsessive behaviour which is something that fascinates and scares me in equal measure. When DCI Tom Douglas is called in to investigate a missing woman and her three children from her home in Manchester he is surprised to find that Olivia’s name has come up in previous investigations. He is left to ponder, how unlucky can one woman be? Olivia first called the police when her partner, Dan, disappeared leaving her holding the baby, apart from a text apologising that was the last anyone heard of him. A couple of months later she calls the police after finding her parents dead in their house. 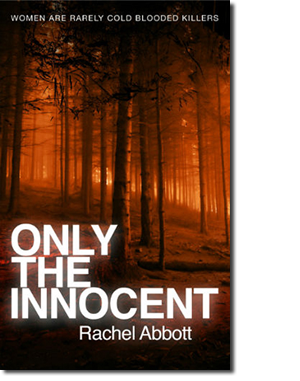 All goes quiet for Olivia for a few years until she calls the police once again when her husband, Robert, disappears with her three children from their house and now two years later she has disappeared without trace. Tom Douglas is keen to put out an appeal to find them but Robert is unable to find a single photo of any of them. This book contains everything that a good psychological thriller should; there is a great puzzle to be solved, an uncertainty about which characters can be believed as Olivia and Robert explain some of their actions the result being that some of what I read literally gave me goose bumps as I couldn’t help but imagine myself in Olivia’s shoes. Be warned some of the scenes in this book will make your heart race! The series is now well-developed, DCI Tom Douglas and Sergeant Becky Robinson are likeable characters who work well together but this isn’t a police procedural, so although their back stories are evolving, they don’t overpower the focus of the book which centres on Olivia and Robert’s relationship. The power of Rachel Abbott’s writing is the fact that her characters behave like real people in that their reactions to events are realistic. That isn’t to say they react exactly how I would in every instance but the elements that make up the personalities are consistent which keeps the plot grounded without wild flights of fancy. Sleep Tight is one of those rare books that deserves the moniker ‘page turner!’ one which means I have resented the intrusion of real people while my mind grappled with the events in Sleep Tight. Although this is the third in the series which I have read in order I think this would work as a stand-alone, if like me the subject matter of obsession calls to you. Fortunately Rachel has indicated that there will be another book in the series which will tie up one of the unfinished aspects of DCI Tom Douglas’ personal life. As an interesting (to me) aside, I have only just realised that Rachel Abbott lives in Alderney one of the sister Channel Islands to my home in Jersey. Alderney is the most northerly of the Channel Islands and I have to confess despite it being so close to home, I have never visited this tiny island of 3 by 1.5 miles which makes Jersey comparatively huge at 9 by 5 miles. brutally murdered – and according to Chief Inspector Tom Douglas, there is little doubt that the murderer is a woman. In a marriage that has taken her from the glamorous five sar luxury of London, Venice and Positano to a bleak and draughty manor house in rural Oxfordshire, Laura has learned to guard her secrets well. She is not alone. It would appear that all the women in her husband’s life have something to hide. But there is one secret that she has never shared, and when the investigation reaches its dramatic and horrific climax, she realises that she has no choice. She has to give Tom Douglas the final piece of the puzzle. And this changes everything, leaving Douglas with a terrible dilemma: whether to punish the guilty, or protect the innocent. I almost wish that I’d known that this series was going to cover such a range of fantastic thrillers so that I’d started collecting them in paperback rather than reading them via eBook mainly, I have to admit for the covers, which are striking. Maybe Rachel will come to Jersey giving me the excuse to add these to my physical bookshelf too! 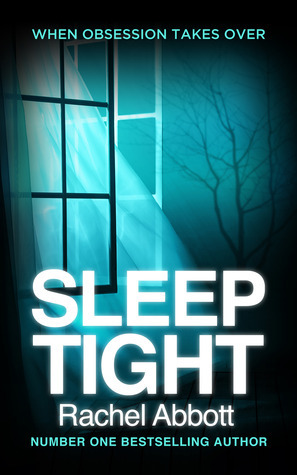 Contact Rachel Abbott, she has a fantastic trailer for Sleep Tight which is well worth watching! This series sounds great, will have to give them a go at some point! I thoroughly recommend them, this one in particular was really well executed. I was quite resentful of the intrusion of real life as it was one of those books that I could have read in a couple of sittings! haha I hate that. Real life is always getting in the way of good books! It’s just not on really! I know! Why did people choose this week to actually want my company? No consideration! haha – I’m not really a social recluse but…. Ooh, I haven’t read a good thriller in a while. They aren’t my usual thing but I enjoy one now and then. If you don’t read many a year I would definitely suggest this one. It really is a great read with a solid underlying characterisation. Nice review and nicer still to see that Rachel Abbott lives so close by. You can just pop by and say hi! Thanks for sharing…I love good psychological thrillers, and now I can add another author. Great news – this is a cracker of a psychological novel too! Seems like an interesting series! I’ve been wanting to read some psychological thrillers! It is a great series, I loved this one which looks at obsession taken to the limit! They are all well worth a read but Sleep Tight was REALLY good! Oh dear, I see you’re back to your old tricks again – tempting me! Nice review! Thank you for sharing. I haven’t read any of Rachel Abbott’s work before, and this series sounds like something I would enjoy. I’ll have to grab it for my kindle. This series is definitely worth seeking out. I love that the characters remain real so that you can put yourself in their shoes! I hope you enjoy it!